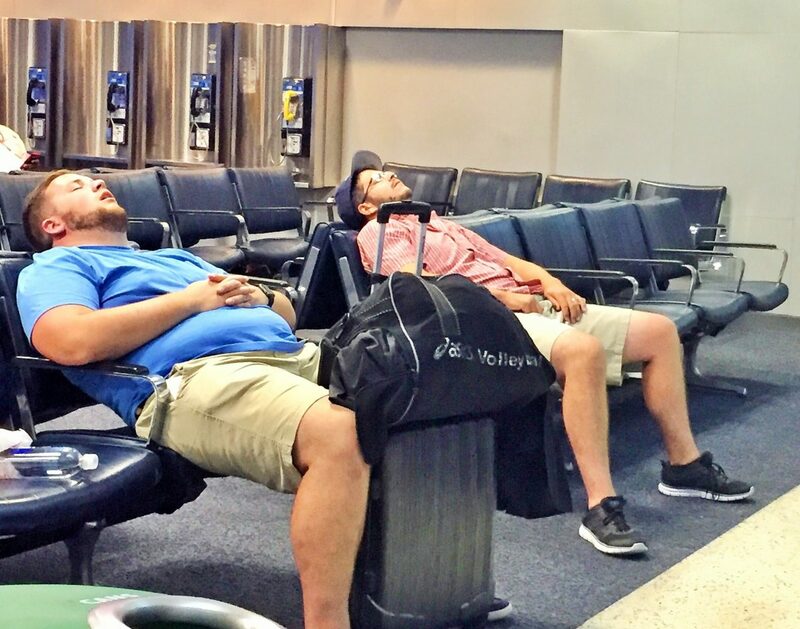 The Memorial Day weekend signals the start of the busy summer travel season and it looks like a lot of people will be spending a lot of time in airports. According to the trade group Airlines for America (A4A), a record 246.1 million passengers — an average of 2.68 million per day — are expected to travel on U.S. airlines between June 1 and Aug. 31, 2018. That number is up 3.7 percent from last year’s record of 237.3 million passengers. Below is the group’s handy infographic that explains what’s in store. A4A’s tally doesn’t include the Memorial Day holiday weekend, but if you’re headed to the airport this weekend keep in mind that security checkpoint lines are apt to be longer than usual (I’ve gotten a couple of alerts from my my airline already, which makes me a bit nervous) with many kids and out-of-practice travelers in the mix. As always, arrive early and pack your patience. A wide range of airline amenity kits, for both adults and children, were on display last week in Hamburg, Germany as part of the World Travel Catering and Onboard Services Expo. Amenity kits for adults were lovely, of course, but those for kids just look like lots more fun. Especially the Super Hero kit I spotted (below) that includes a backpack with a built-in cape!